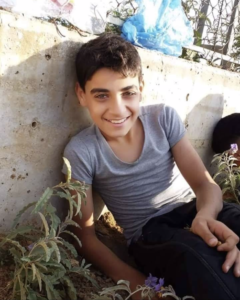 This is 14-year-old Palestinian Abdul-Ra’ouf Salha who died yesterday after being struck by an Israeli sniper at the Great Return March in Gaza last Friday. May he Rest In Peace. Build the economic & cultural boycott of Israel so Palestinians can defend themselves against apartheid, genocide, colonialism.